The hand-hammered metal gives these triangles such a lovely organic character. 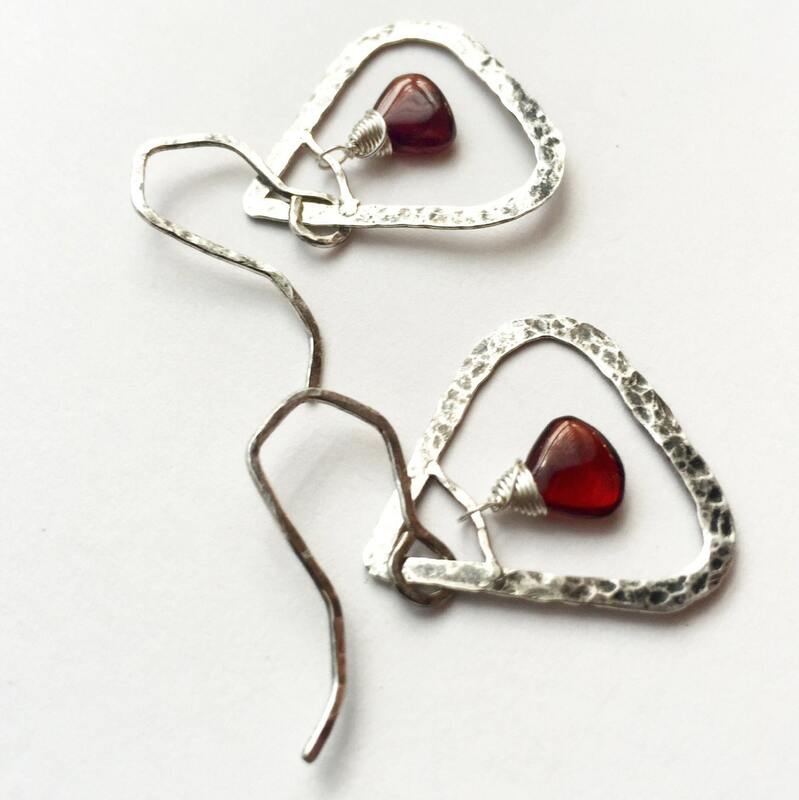 Smoothly polished triangles of deep red garnet echo the silver frame. 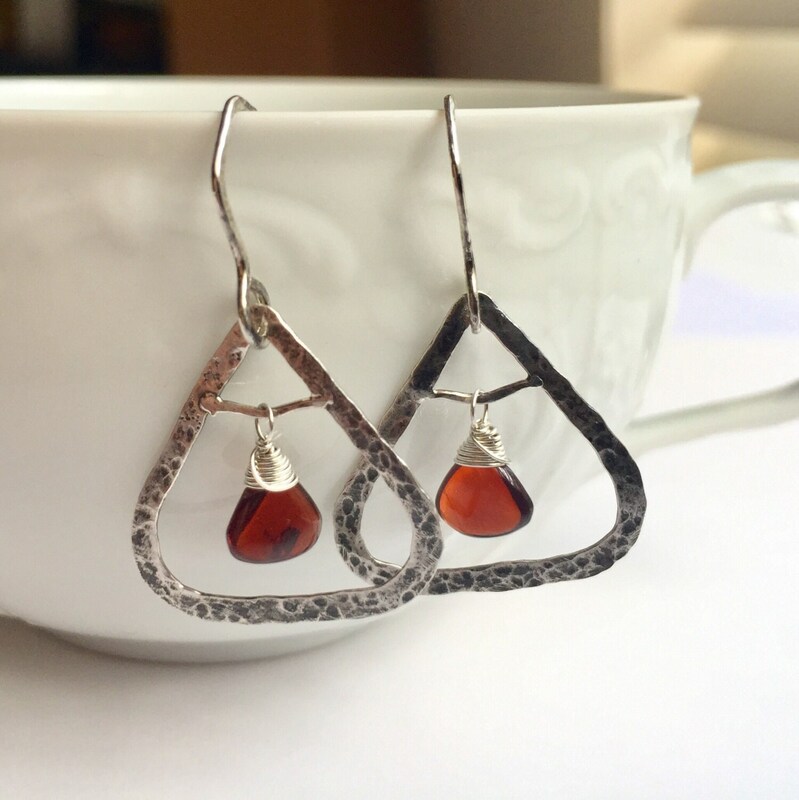 The ear hooks are also shaped with a triangular bend, and hammered to give the entire piece a consistent, hand-worked feel. 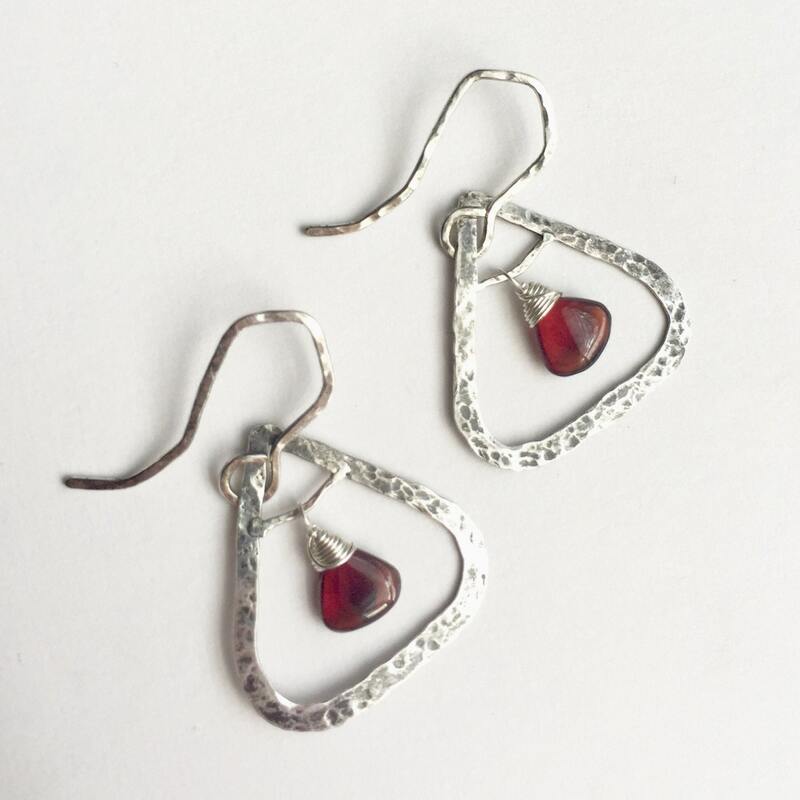 • The garnets are 8x7 mm. • The earrings are approximately 1.5" from top to bottom. This style can feature other gemstones as well; please contact me with custom requests.